On episode 47 I had the privilege of featuring the work of designer, Hannah Fettig and sharing one of her personal knitting stories. Hannah has kindly offered this huge assortment of Knitbot products for a drawing giveaway. A printed copy of Hannah's new Jackets E-book! Phew... that was a lot to list. To enter to win, please leave a comment (including contact information) under this post. Please tell me in your comment whether you have knit any of Hannah's patterns before and which ones you like the most. I will randomly choose a winner on January 15, 2011. Please check back then to see if you have won! Drawing Now Closed! Congratulations to Rachel, the winner! No, I have not knitted any of her patterns yet...with 5 kids it is hard to get any selfish knitting time. However I have been a long time secret admirer...not sure which is my favorite. I love how all of her patterns are so clean and polished looking yet still young and fresh. I haven't yet knit any of her patterns, though I have the pattern and yarn for the lightweight cardigan. It's on the list for this winter. I am finishing up the Zip-Up Cardigan and it's been a wonderful project. Hannah's patterns are straight forward to knit and the styles are classic. I haven't knit any of her patterns, but I've heard lots of great comments about her work. Would LOVE to win this! I am currently knitting Hannah's Early Morning Beret pattern. Her designs are so classic. As soon as I tackle sweater knitting, I want to make one of her new jacket patterns. I've never knit any of hers but I sure hope I get the chance! I love the wispy cardigan! Oh GORGEOUS! this is just what i need to jump-start new knitting ambitions! I hope I win! That yarn looks so yummy!! oooohhh I would love to win this giveaway! Thank you for the opportunity. I have not knit anything designed by Hannah, but I have checked out her blog and really love her style. I have not knit any of Hannah's designs yet, but they are lovely and I'd like to have the chance! I am in the process of knitting the cardigan featherweight, so far so good. I love the ease of the pattern. Would love to knit some more of her designs. What a great giveaway Thanks for a chance. Beautiful stuff, but never knitted any of it yet. I hope I get the chance! obviously would love to win all those goodies. Wow - sadly, I'm like most of the others. I haven't knit any of her patterns but I am anxious to try her cardigan. Iam still relatively new to knitting, so I haven't had a chance to attempt her patterns. I would love to be able to have the pleasure! I have not knit any of Hannah's patterns. It would be lovely to win this amazing prize. No I haven't tried any of the patterns yet, but I am just learning of her patterns. 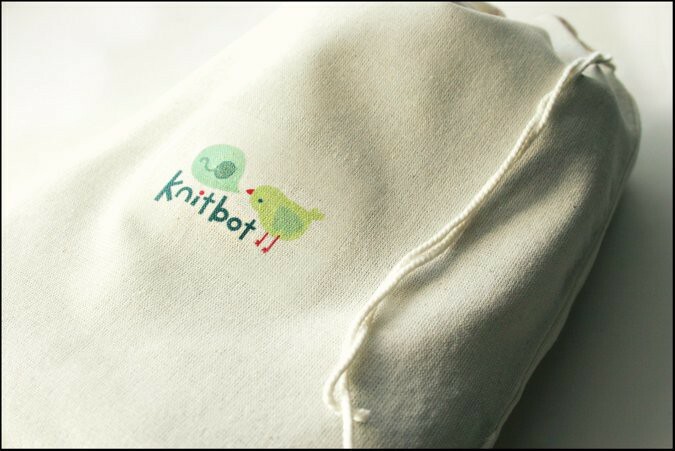 I definitely have to get some KnitBot yarn....sounds really fun. I have knit a Featherweight cardigan for myself, and have started an Effortless Cardigan. I think Hannah's designs are elegant and timeless. I have not knit any of her patterns, but I have several queued. Beautiful stuff. I have knit her Featherweight cardi once and have another one on the needles. I'd love to try some of her other patterns! I've knit two of her patterns, and love my Lightweight Pullover the best! It's just so flattering!! What a wonderful bag of goodies! I'd love to knit the zip-up cardigan for my husband, though. Woohoo! Now this has to be the contest of all contests! I haven't knit any of her patterns yet but the wispy cardigan is on my list for 2011. I haven't actually knit any of the Knitbot patterns yet. I did get yarn money for my birthday and plan on buying yarn for the Effortless Cardigan. It would be great to win the pattern! I love Hannah's patterns. Let's see I've made two Whisper's and two Featherweight's. I just bought patterns for Effortless, the Jacket Collection and Contented. My cousin who just learned to knit over the holiday's has also been eyeing the patterns. If I win I'm going to share this with her. Thanks for sharing with us more from Hannah! Oh, I love her designs! Great giveaway! I have not knit any of her patterns. But I really want to try the featherweight cardigan! It is so cute and I am a cardigan junkie. Me, me, me, me! I want to win! Several of her patterns are in my queue. Featherweight cardi is definitely my favourite. I actually knitted it without using the pattern. I love Hannah's patterns. I've made a featherweight cardigan out of some yummy malabrigo, and I've just been waiting for the right yarn to start a whispy. Right now though I'm loving her new jackets. I haven't knit any, but I've had my eye on the Effotless and Featherweight cardigans for a long time. love the patterns...what a great giveaway! I haven't been able knit any of her stuff BUT they all look LOVELY! I'm currently knitting the Whisper Cardigan. It's taking it's time in a laceweight, but I will get there! I knit a Whispy and wear it at every opportunity. I would love to knit more! Wow! What a giveaway! I have not knit any of her patterns yet, but have definitely been eying several of them! The Wispy cardi, lightweight pullover and effortless cardi are all on my must-knit list. Thanks for hosting this amazing giveaway! How lovely! I have admired Hannah's patterns but have not knit any of them. 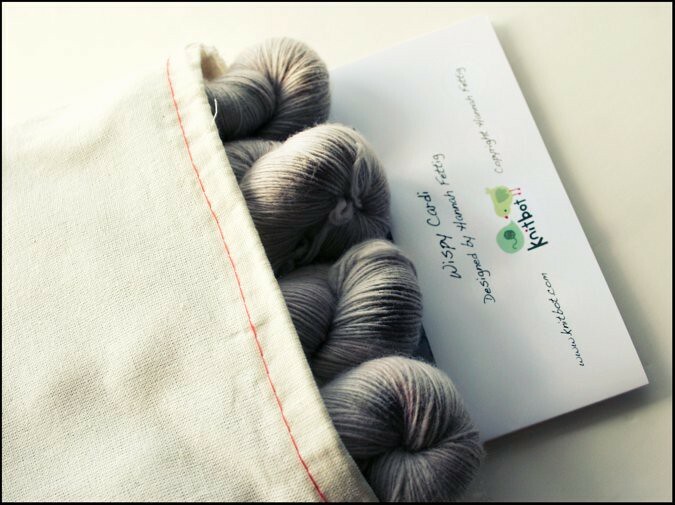 You can contact me on Ravelry where my username is deedalee. Wow -- that's a fantastic giveaway! 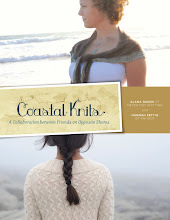 I haven't knit any of Hannah's designs, but both her Mariner Pullover and Carrot Cardigan are on the list. WOW! This is quite the giveaway! Hooray! I've never knit one, but love the Trail Jacket....hoping to win! My favorite is the Effortless Cardigan, but they are all great. Thanks for the giveaway! I haven't tride the patterns, but it is all beautiful! I've been "working" on the featherweight cardigan for more than a year (10shawls2010 intervened). It's a great pattern, just have to finish the gift knitting first. Hannah is one of my favourite designers. I have knitted Whisper Cardigan and I received lots of compliments. I am looking forward to knit her featherweight cardigan, effortless cardigan, and the new Trial jacket! thank you for this wonderful giveaway. Your blog always cheer knitters up! I haven't knit any of Hannah's patterns yet but I do have wispy, featherweight and the lightweight pullover in my queue. Love her patterns! I have knit her ribbed cap and her auto vest. The vest is absolutely adorable! I would love to knit one of her sweater designs, but that will require finding time for "selfish knitting." I HAVE NOT AS OF YET...I THINK I WILL NOW! I haven't knit any of her patterns yet, but this giveaway is really inspirational. I LOVE the Zip-Up cardi and the Lightweight Pullover. What an awesome giveaway! How are we going to wait until the 15th??? I have not had the chance to knit any of her patterns yet but really love her Contented Cardi. I love it's simplicity and the little details. I have been building my knitting skills one pattern at a time! My goal is to knit fast enough to work on the Effortless Cardigan - my favorite. Work keeps me a bit too busy for huge, adult garment projects. P.S. I want to knit your Autumn Vines Beret! I have never knit one of her patterns, but I loved looking at her Wispy Cardigan - beautiful! I, too, have yet to knit one of her sweet patterns. Here's hoping I will be casting on for one of them in February! Thanks for another great interview. I have not had a chance to knit any of Hannah's patterns yet but would love to try. Love her patterns! Working on the wispy cardi and looking forward to working on more. Not knitted any of her patterns (yet) but would love to try the lightweight jumper! The Wispy Cardi is awesome! Man, I want a crack at it. Wow! You just kept going and going and going on this list! What a wonderful collection! I've never knit one of Hannah's patterns, but I just went and looked at them. It was so hard to choose a favourite, but I really like the Yoked Cardigan. The Whisper Cardigan is a classic! I've knit one already and have had requests for at least three more! No. I was totally unfamiliar with her designs, but I'm drooling now. They would totally fit in both an everyday wear and a formal and classy setting. This is a wonderful giveaway. 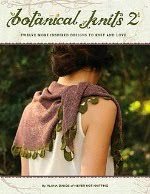 I love Hannah's designs and I especially enjoyed her first book Closely Knit. I've knit the Kangaroo Vest from there. I don't think I've knit any of her other designs. Thank you for featuring Hannah Fetting on this episode, I really admire her. I've only knit one of Hannah's patterns (a Featherweight Cardigan) but really admire all of her work! The beautiful simplicity of her designs fit so well into my wardrobe. I wore my Featherweight Cardigan today! Until your podcast I had never heard of her. The patterns are beautiful. My favorite is the effortless cardigan. I would love to have these lovely patterns! Perfect timing...I actually wore my Featherweight cardigan for the first time today. I really enjoyed knitting the pattern and the sweater is just lovely. I would love to win the contest and get more of Hannah's patterns! I have yet to knit any Knitbot designs, but would love to. The effortless cardigan looks so wearable. I have never knit one of her patterns though I feel like I have since I hear so much of them on several of the podcasts I listen to. The Lightweight Pullover would be first on my list! I'm desperate to try at least 4 of her beautiful designs! While I have not yet knit any of Hannah's patterns, they appear to be truly inspired! Quite an amazing give away. Thanks for doing this. wow! currently, i am knitting a wispy cardi. love her designs! I haven't used any of the patterns, but the Effortless Cardigan looks like something Mom would like. I have not knit any of her patterns yet, but it's only a matter of time. Every time I find myself admiring a pattern on ravelry, it seems to be one of her designs! I have not yet knit any of her patterns. I do love the Effortless cardigan. I love the whispy cardigan but I have yet to knit it. It is in my queue. Oh, my goodness, what a great giveaway...especially the wispy cardigan kit. I have never knitted any of her designs but drool over them often. Hannah's patterns are simple and stylish, and would be a great addition to any wardrobe. Thanks for the chance. I have not knit any of her patterns yet but love the featherweight cardigan and climbing cables hat. I haven't knit from very many designers at all, to be honest -- I knit a lot from my own designs. It wasn't until I purchased some Never Not Knitting patterns that I really started to explore indie designers! 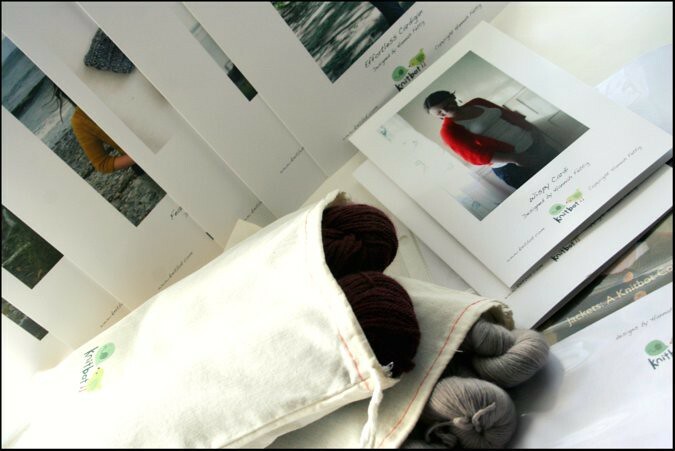 The Knitbot cardigans look delightful and I'd be overjoyed to win. WOW!! That's a lot of stuff!! I have not knit any of Hannah's patterns yet but I've had my eye on the Effortless cardigan for a little while now. No, I haven't made anything of Hannah's but I would love to. The wispy cardigan looks so good! I have not yet knit any of Hannah's patterns, but I have had my eye on the Featherweight pattern. I saw it knit at my local yarn store and I can't stop thinking about it! Wow, what a generous prize! I haven't knit any of Hannah's patterns, but I have quite a few in my queue! 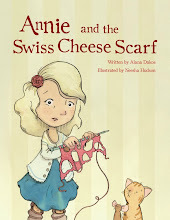 Oh, I love Hannah fettig's designs! I probably don't qualify, but her patterns look so amazing- classic, yet modern. I haven't knit any of her patterns yet (I had to check, since I really thought I had), but I have plans to knit several of them- I've been stockpiling malabrigo laceweight specifically for them! I love the way laceweight knits wear, and I also lofve her heavier gauge elemental boatneck- it's so underrated. I haven't knit any, but I've been admiring them for a while now! I'd love to have these patterns. I wanna win !! I wanna win! 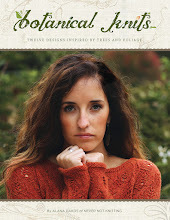 I really love Hannah's patterns and had plans to knit the Effortless Cardigan. Sadly, I couldn't get gauge with the yarn I had chosen (handspun) but it is definitely STILL on my list - along with several of her other patterns. I've never knit any of her patterns, but I'd love to start! What an amazing giveaway! I haven't made any of Hannah Fetig's patterns yet. I've never knit any of her patters but I *love* the Wispy Cardi! wow i would love love love this giveaway! i love her stuff! Although I have been an admirer I have never used any of her patterns. I appreciate the opportunity to maybe get that chance. Thank you for the wonderful giveaway and for all of the information that you share. I am currently knitting your "Playful Stripes" sweater for my soon to be born granddaughter. It is a joy!!!! I have been an admirer but have never used any of her patterns. I just added her blog to my favorites. Thank you so much for the wonderful giveaway. I'll keep my fingers csrossed. I have not knitted any of hannah's patterns...yet! I'd love to knit the featherweight cardigan. It looks like a good knit for winter and then wearable for spring! I finished the featherweight sweater a couple of months ago and it is my favorite sweater. I have the yarn to knit Featherweight, but I haven't gotten to it yet. On my list! Wow! What a great, huge giveaway! I've never knitted any of her patterns, but I sure would like to. I have not knit any of them, but now have several of them favorited in Ravelry. I love the Featherweight, Effortless, and Wispy Cardigans. I have never knit any of her patterns, but I would really like to! Wow, gigantic doesn't even begin to cover it. I love the wispy cardi and I've always wanted to knit it, but I haven't had the opportunity (ahem, funds)to get my hands on Malabrigo. The yarn I do have would not begin to do it justice, so for now I just drool. What a generous giveaway! My favorite is definitely the featherweight cardi. I love it's simple construction. Wow, so many great patterns to choose from - I've been dying to knit the Featherweight Cardi since its' release, it's absolutely my favorite. Happy New Year! I have the wispy cardigan pattern and some yarn waiting but I haven't started it yet. Loved hearing from Hannah. To be honest this is the first time I have heard of knitbot & Hannah. But after seeing this post I can't imagine why not. These are gorgeous! I would love the opportunity to knit any of her patterns. I haven't tried anything of hers yet, but this would be a great way for a beginner to start! I absolutely love Hannah's designs. I am currently knitting a wispy cardi for myself and am down to the last 1 inch ribbing. Can't wait to wear it!!! Itching to cast on for the featherweight cardigan....would love the pattern for Effortless Cardigan or Lightweight pullover. What a giveaway! I have not knit any of her patterns yet, but I have bought 2 skeins of sock yarn for one of her cardigan patterns. I haven't knitted any of her patterns, but I enjoyed learning about them! What a generous giveaway! I love her designs. I have not yet knit any of Hannah's patterns, but I do love the Trail Jacket and the Tiered Skirt. Thanks so much to both of you! I haven't knitted any yet, but they are in my huge queue! Winning this would be a dream! How generous! No I haven't knitted anything of hers YET, thank you for pointing me her way! I love her patterns :) specially the Lightweight Pullover. I have never knitted anything by her before, but they look so beautiful I would love to!! Never made anything from her patterns, though the Featherweight Cardigan has been on my wishlist forever as has the little boy's car vest she did! Oh, I have been eyeing her patterns for quite sometime...I haven't started one yet...I can't decide what to do first! I would love to do the Wispy Cardi for my daughter. So simple and functional yet there's an elegance about it...thank you so much for this & to Hannah, too! I've made a Featherweight for my mom and myself. I am knitting a Whisper Cardigan and can't wait to tackle a Wispy too. I also have the Scouting Jacket, Lightweight Pullover, CArrot Cardigan, Auto Vest and Sock Yarn Sweater on my list for this year. LOL Can you tell I love her designs? Thank you so much for this opportunity. I have bought but not yet knit the effortless cardigan! Love everything she does! I haven't knit any of her patterns.. YET. But I am dying to get a few of them done. Happy New Year! woot! I've yet to knit one of her patterns but I have heard great things! I'm in the middle of knitting a featherweight cardigan right now and I love it! I really admire her style and patterns! I've been eyeing Featherweight and lightweight cardigan but haven't tried them yet. Great giveaway! I haven't knit any of Hannah's patterns but one that I've had my eye on is the Featherweight Cardigan! That's an amazing giveaway! I have knit Hannah's hearts which she mentioned on an earlier podcast with you. She has some lovely designs. Thank you for introducing me to her. I have never knit anything of Hannah's but I have several patterns in my queue. I love them and this is such an awesome giveaway! I have not yet knitted any of Hanah's patterns. But, I have the mediumweight pullover near the top of my queue right now! Also, the featherweight cardigan. I would love to win this set of her lovely patterns! I have not knitted anything by Hannah, but her style looks so classic I would be tempted to choose something. :) I love her little man vests! Thank you for the contest! I haven't yet, but the Featherweight Cardigan is in my queue on Ravelry! Oh, I love her patterns! What an awesome giveaway! I've knit Hannah's lapis yoke pullover and yoked cardi. Love her patterns! I have several of her patterns queued, but haven't yet knit any! I do admire her designs. Haven't knit any of her patterns yet, but I have Whisper Cardigan queued with some fab MadTosh laceweight! The 3 patterns from KnitScene are gorgeous too. Love how simple and classic all her designs are. Wow! How cool! I would love to be the lucky winner. I have never knitted any Knitbot patterns, but love the look. I've not yet knit any of her patterns, but I've been admiring the lightweight cardigan for quite some time now. I have not knitted one yet, but have been eyeing the featherweight cardigan for a while! A lovely give away! I made Hannah's Whisper a while back. It's one of my favorite & most worn cardigans! I just added her Trail Jacket to my favs a couple of days ago. Love her designs and thanks to you for doing the giveaway -- hope I win ;). I really like all of Hannah's patterns! I would love to get started knitting the zip up cardigan for my husband. Thanks for all of the great podcasts, I love listening in! I have not knitted any of her patterns, but they look great. I will definitely have to try them and I love the Yoked cardigan! Wonderful giveaway! I haven't knit any of these patterns, but I've admired them on Ravelry and would love to give one a try. Wow! This IS a Gigantic giveaway. I love Hannah's designs. My first and only sweater I've knitted so far is Hannah's Featherweight cardigan, and I love, love, love it! So anxious to knit more of her designs. They're all very lovely. I have knit two of her patterns to date (one of them 3 times!) and it would be hard to pick a favorite. There are currently a couple of others that I plan to buy in the near future. Oooh such a great giveaway! I really like her family sock pattern and bought knit scene fall 2010 just for the Lapis Yoke sweater pattern. Her patterns make sense and are very easy to understand and you get a really wearable item in the end. I would love to win any part of this giveaway! I have the kangaroo vest on my to do list for my soon to be born grandson. Haven't knitted any of her other patterns yet, but they are very attractive. I plan on knitting the lightweight pullover. The pattern is so simple and the design is classic. I know this would be an item that would be used in my wardrobe. I have not had the opportunity to knit one of her patterns - but I love the chance this giveaway provides. Thank you! What an incredible giveaway. I have several of her cardigans queued. As a mother of a 6-month-old, I also really empathize with the story she told! Wow, I can't believe you're giving this much away! I knit a Lightweight Pullover, but it came out far too big and verrrrry unflattering. Maybe someday I'll reknit. I have not knit any of her patterns but have always admired her designs! I have never knit any of her patterns before, but that Whispy Cardigan is goreous!! I would really, really, really love to win this. I have only knit her latest free hat pattern, "My Head is Swirling," so far but I am interested in knitting more of her designs. Thanks for featuring her! I have knit one of her design, the pompom hat (published by CEY), and I receive lots of comments about it! I have the yarn for the wispy, but I wouldn't mind another!!! My favorite is the featherweight cardi. I'm working on it now, can't wait to finish it up! Love her stuff! I have admired her patterns for a while and would love t knit one. Or many. I haven't knit any of her patterns yet, but even a novice knitter like me would looooove this! :) The Featherweight Cardigan is in my Ravelry queue. Thanks! This is an AMAZING prize package! I have not knit any of Hannah's patterns yet, although I have always admired the Featherweight Cardigan and many others. Hannah's patterns are lovely -- I would love to knit one (or more!) of them! I have the featherweight in my queue! Thank you for hosting the giveaway in this fresh new year! I haven't knitted any of her designs (yet). What a generous offer. I'd love to win!